Virginia International University is developing in such a dynamic way. We are improving our cooperation with other universities and educational institutions both domestically and internationally. As VIU builds concrete relationships with universities outside of the United States, we enable many prospective students to receive high quality education that fulfills their special needs. VIU representatives are putting forth a great deal of effort to expand our collaboration with universities abroad. I would like to highlight a few of the recent events VIU has taken part in overseas in recent months. At this time one of the VIU representatives Idris Ulas, Director of Marketing Department, has been attending international educational fairs in Morocco. He is also put on presentations about our programs and admission process at such events as education workshops, seminars, and many others. 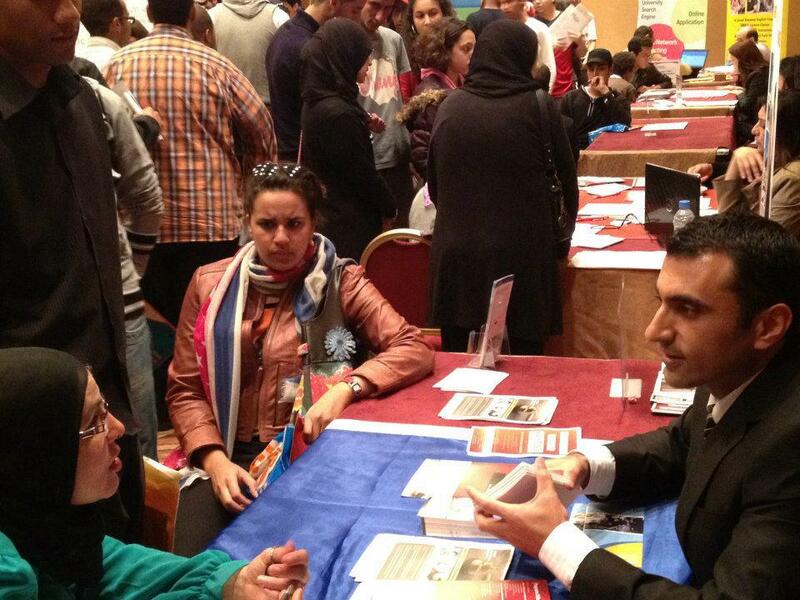 Mr. Ulas met about 300 students in Morocco, all of which have the unique desire to study at a U.S. University like VIU. “Young adults of Morocco are excited about VIU’s affordable tuition fee, great location, and scholarship opportunity,” said Mr. Ulas. Lastly, he sends his warm greetings to his colleagues and students at VIU from magnificent city, Casablanca in Morocco. On May 7th, two VIU representatives, Dr. Goran Trajkovski, Dean of the School of Computer Information Systems and Dean of Online Education, as well as Ms. Emily Leighty, Student Affairs Assistant left for Ulaanbaatar, Mongolia to visit two major Mongolian universities: the Royal International Institute and the Ikh Zasag University. 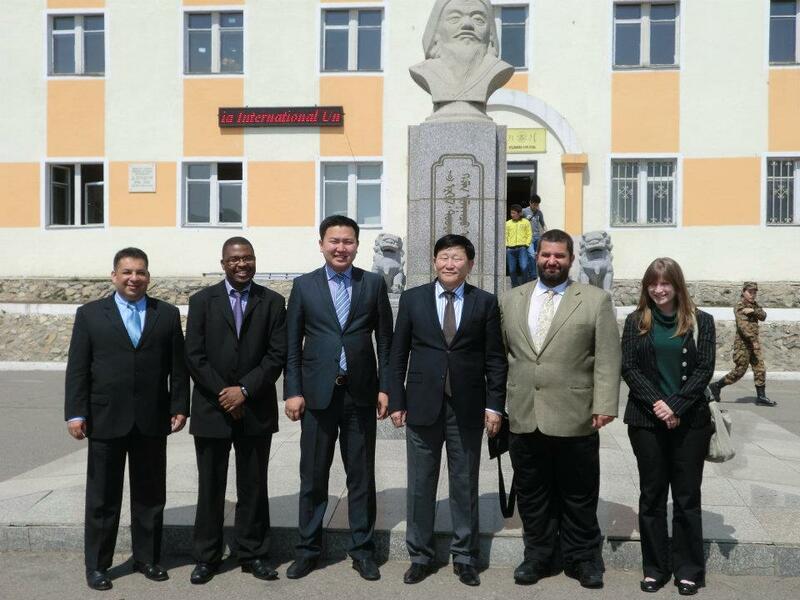 The main goal of the business trip is to advance educational ties and strengthen academic partnership between VIU and the Mongolian institutions. Dr. Trajkovski and Ms. Leighty will reach out to hundreds of students and faculty by giving a series of lectures on various topics, including the benefits of studying at VIU including our academic programs, admission procedures, and advantages of online education. The presentations will be recorded by the television station producing the Super Student television show. Dr. Trajkovski will also give number of interviews to the local newspapers and TV stations, including the prestigious Royal TV. Look for more updates of this kind in the future – this type of international cooperation align closely with VIU’s mission to educate students from all over the world. We trust that our international educational agreements and partnerships will pave the way for VIU students to gain a truly global perspective.